Not all of Preston Sturges’ movies have weathered the years well — as carefully and lovingly constructed as his scripts are, something like Unfaithfully Yours is less prescient in its black comedy than we wish it were, and The Miracle of Morgan’s Creek‘s homey subversion of Capra through blatant sexuality is only entirely effective if we recontextualize ourselves. 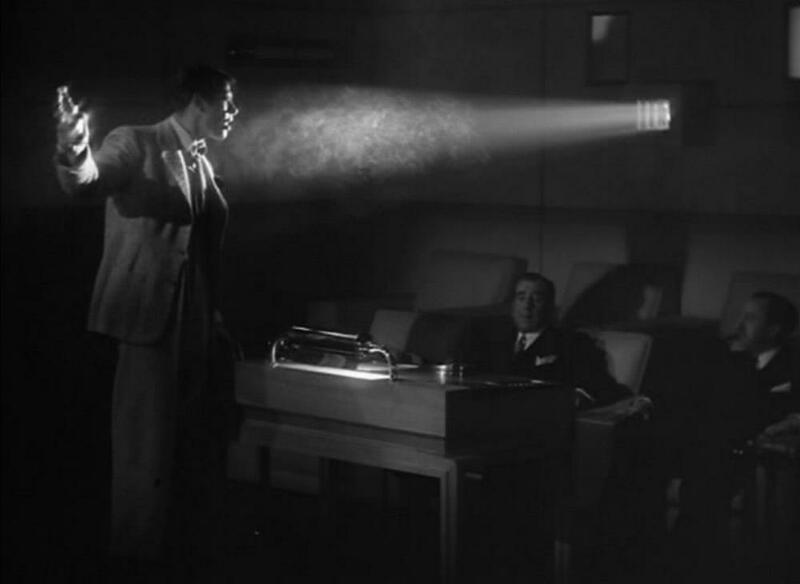 But the Sturges films that remain striking today are quite spectacular. 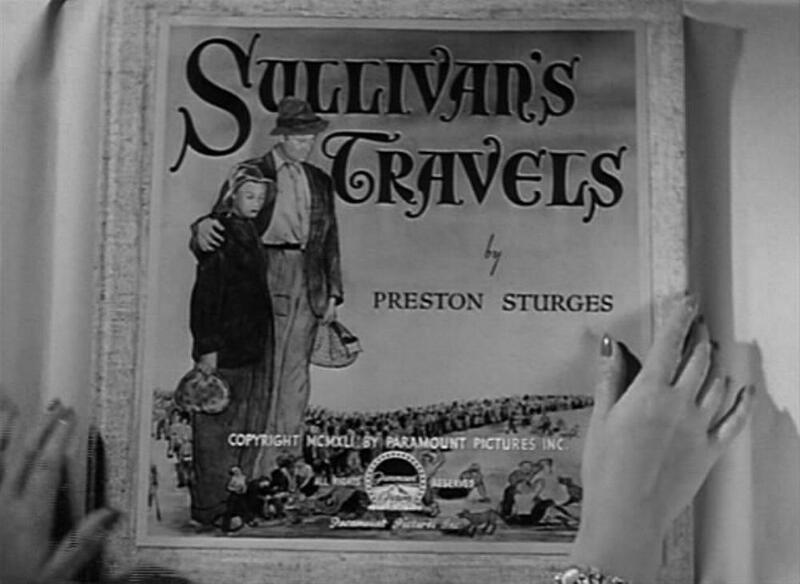 Sullivan’s Travels, over and above most any other feature Hollywood’s ever made about itself (and there’ve been many), is a burst of energy, warmth, real art. Like Sunset Blvd. a decade later, it approaches Tinseltown from the seasoned cynicism of an outsider, yet much more than that film, it’s keenly aware of the importance and utility of the mythology it seeks to break down. In other words, it loves its audience. But let’s be more direct: it’s hilarious. After a clever false start (enacting on the screen the unexplained climax of an action picture directed by protagonist John Sullivan), you start laughing at the bracing and erudite wit in Sturges’ screenplay, expertly delivered with Sunday-comic exaggeration by his slate of big names and character actors, and even as the thing ribs “insider” industry standards and trends, it speaks to a universal skepticism about business, any business… but is equally suspicious of the small-minded, self-regarding condescension of a certain kind of privileged altruism, namely: the notion that society’s greatest need is a mirror unto itself. It’s because of this underdog mentality that Sturges is finally able to approach his characters as real people, distant as they may be from our experiences, and sideswipe the viewer with his story’s real and deeply-felt decency. Not to say Sturges devalues representation, a show of identification that modern mainstream films still forget about — in fact, he makes a coy political point by incorporating a stock 1940s-vintage black character aboard a decked-out bus early on (a subservient cook), then later subverts such stereotypes with an unadorned, realistic and straightforward view of the occupants of an African-American church. Much of the genius of Sullivan’s is wrapped up in such subtleties, but as the casual or first-time viewer watches, all that matters is the burst of pleasure inherent to the dialogue, to the simple but ambitious sweep of the story, and to, well, Veronica Lake and her winking, comely androgyny. It’s inevitable to constantly hold Sturges up to Billy Wilder, whose work has retained a cultural cachet that his peer’s has not, but I’m not aware that Wilder ever assumed nearly so much intelligence and savvy on the part of his audience as does Sturges here. The film requires a measure of familiarity with the Biz and its hunger for product that was translated to an almost sledgehammer-smug superiority in Sunset Blvd., but here we fill in the blanks when we hear those in Sullivan’s orbit praising his populist, brainless smashes like Hey Hey in the Hayloft and Ants in Your Pants of 1939 — gags that would’ve generated a natural delight to the faithful movie audience of 1941 and that now will require someone who’s buried themselves in a Maltin guide for hours to be nearly so tickled. No matter — Sullivan’s a good-hearted film director despite his worlds of success and is the classic liberal who means well, who wants to not live his days oblivious to his audience’s lives. We know that Depression-era film audiences were hardly a privileged breed, so Sullivan sheds not just his inclination for slapstick but his clothes, his contact with the world, his access to his bank account for the 1940s equivalent to a FirstWorldProblems hashtag: he’ll live as a bum, as research for his next film. That film will address, of course, the Human Condition and will be called O Brother, Where Art Thou? ; Sullivan runs into an unnamed, trod-upon actress (cleverly credited, in a jab at Griffith, as “the Girl”) played by Veronica Lake who takes a liking to him and chooses to tag along for the ride. Lake was apparently a terror on this and nearly every other set, but she is wonderful, transforming the narrative with her willingness to sink into the grime to embody her part. And her casual, progressive part, written by Sturges with a surprisingly strong proto-feminist slant, is imbued with an unexpected sensuality; no one I’ve watched the film with, male or female, has come away without being taken with her — far more the case here than with, say, Marilyn Monroe’s performance in Some Like It Hot. And that’s a signal of something or other — Sullivan’s, seventy years on, still has the luster and rambunctiousness of a true communal movie experience. Despite its numerous references to the war and the Depression (indeed, the story revolves around its era), it has aged perfectly. And Sturges squashes the stories about his being a non-visual director; long stretches of the film exist with no dialogue whatsoever. This is a comedy that is not afraid to go to extremes, with chases and hysterically anticlimactic plot turns, always leading somehow back to Hollywood. It’s smart, convicted, and layered. That’s the first half. I don’t usually do this since all my reviews here are full of spoilers, but I’m urging you here for your own good: if you’re reading this and you’ve not seen Sullivan’s Travels and you plan to in the foreseeable future, please skip the rest of this review for now. I’m not sure how different the effect would be if what I’ll be talking about hadn’t been so unexpected or if the movie had not so thoroughly absorbed me, so don’t go in expecting to be stunned or anything like that. Rejoin me below if you’ve seen it or if you’re a prick who doesn’t care what I tell you. It’s one of the best-kept secrets in American cinema, really, that Sullivan’s Travels has a wallop of a twist a little over halfway through, one of the most completely unexpected in any movie I’ve seen. The experiment is over, Sullivan has come to terms and is reimbursing the world, and then… I hesitate to call it a twist, actually; it’s more like being smashed into a brick wall at 60mph. It’s not the shower scene, it’s just not at all what you tend to anticipate from a lighthearted Hollywood satire. Kudos, actually, to most film guides and websites for failing to give the game away, perhaps because the genre and style of the film seems to preclude such a reaction. Having seen the film three times now, I still marvel at its fascinating transformation from sparkling, sophisticated comedy to improbably heavy, sincere drama, which serves to illustrate Sturges’ own point about the importance of comedy, about laughter not being a lesser emotion, and about the fact that the largest duty of the more fortunate and artistic among us is to, above all else, make life more wonderful for all through their art. Through its strikingly empathetic and no-holds-barred third act, Sullivan’s Travels becomes a passionate defense of both Capra’s Little People, who don’t seem so little here, and a missive about the artist as world savior as eloquent as The Trouble with Harry, and in some ways more significant since it’s specifically about the power, the actual power, of film. Sunset Blvd. can’t achieve that, great as it is, nor can any of Frank Darabont’s self-lovefests. Nor can even Cinema Paradiso. Of all films about films, only this one, so far as I’ve seen, actually says something true and powerful about the sense of life and the broader importance of cinema itself. Woody Allen’s come close a few times, but no. Not on this level. But why is that? Suddenly this isn’t about the movies, it’s about the people who see the movies. The film becomes gravely serious, to the point that it could practically be mistaken for Mervyn LeRoy’s brilliant I Am a Fugitive from a Chain Gang in places, and it’s not jarring but deeply affecting to see the film’s prescient comments on poverty, racism, crime, and pre-WWII America, walking the same tightrope as Chaplin in Modern Times. The church scene is a harrowing experience (and an interesting comparison to Hitchcock’s Sabotage) and will have an impact on anyone who feels the way I do about comedy, film, cartoons, laughter. At the singing of “Go Down Moses,” you feel amazed that you’re still watching the same film, and as the Mickey and Pluto cartoon unfolds, you feel as plowed and oddly relieved as does Sullivan. When he leans over to his neighbor mid-guffaw and bewilderingly demands “Hey, am I laughing?” it’s as true an emotional catharsis as a screenwriter can devise. More so than the big showstopping “cockeyed caravan” speech at the end, it’s the true thesis of this film, its true connection to and articulation of its audience. Sturges knew that moment would still ring out seventy years later, I’m sure of it. In this dramatic guise, he’s a hugely impressive director, and he leads us nicely in to the film’s final conclusion, that humor can be as moving as (maybe more moving than) any social-issues drama can ever be. It’s surely no accident that he proves the point himself? The second half of the picture is devastating and unforgettable, but the first half is still indisputably more fun, and better. That’s the idea. 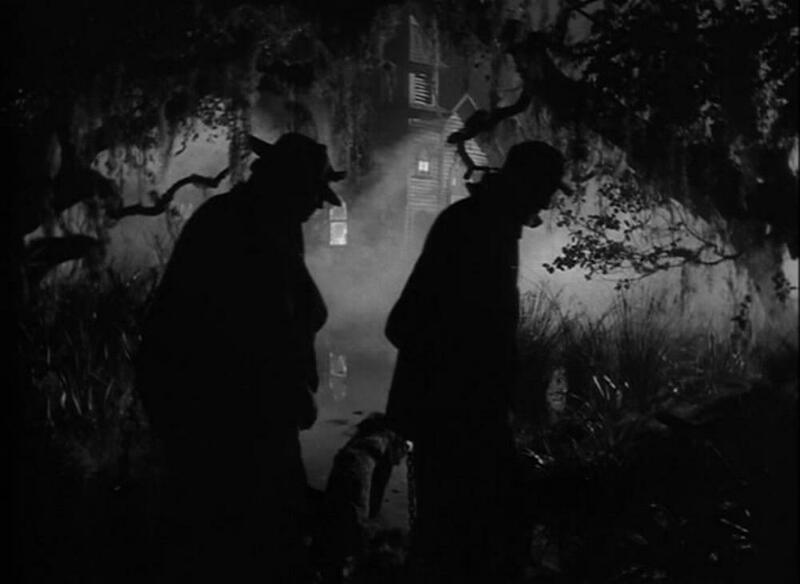 Sturges quickly gives us what we need at the conclusion and reassures us, but there’s something unsettling in the air still, fed by his unsentimental and unpolished attitude toward the strife we’ve witnessed throughout the film. Somewhere in his big-time Hollywood satire, he’s sneaked in this big treatise on poverty and imprisonment and human misery — and he tricked us into laughing all the way through it. That’s quite a coup, and one of many reasons this remarkable movie is such a troubling, assured, hilarious gift.